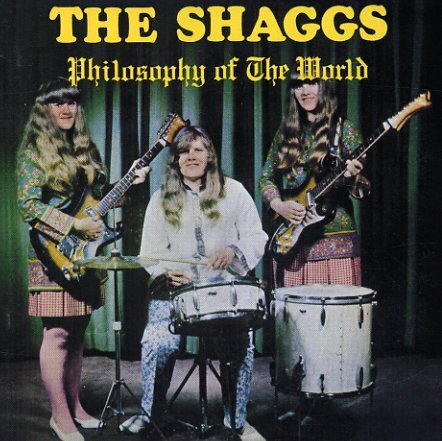 The weird, raw and legendary debut of teen trio The Shaggs – recorded in a single day and issued by the Third World label back in the day, before slowly building a devoted cult following over the years! The Shaggs story of a young girl group and their dad manager dreaming big and hoping for stardom, but the stunningly primitive sound actually makes the patron saints of outsider art rock and indie rock to come – it's messy and amazing to this day! Odd and hypnotic, it's an outsider classic unlike any other. Includes "Philosophy Of The World", "That Little Sports Car", "Who Are Parents", "My Pal Foot Foot", "My Companion", "I'm So Happy When You're Near", "Things I I Wonder", "It's Halloween", "Why Do I Feel? ", "What Should I Do", "My Companion", "Sweet Thing", "We Have A Savoir" and more. © 1996-2019, Dusty Groove, Inc.